MathMagic Lite - The Best Free Equation Editor on the planet! Lite Edition - Free ! Thank you for choosing MathMagic, the ultimate equation editor on the planet! 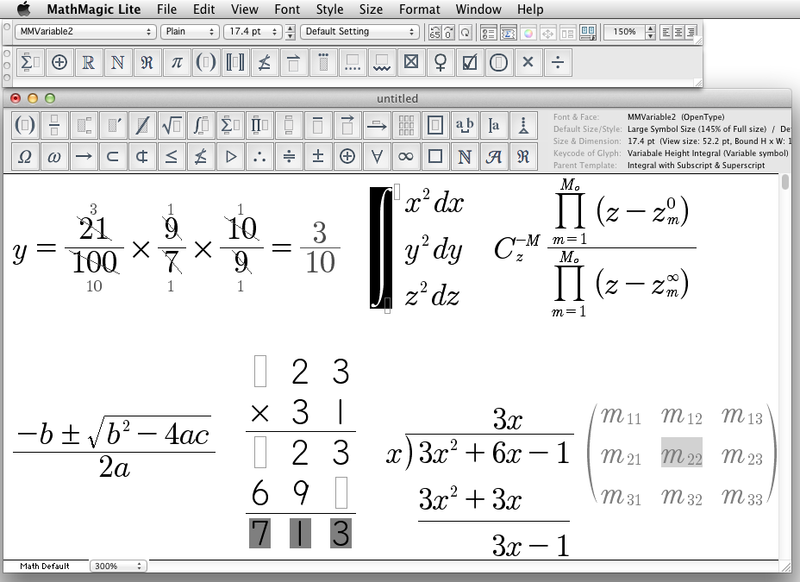 MathMagic Lite is a FREE equation editor. It is a stand-alone application for writing and editing any mathematical expressions and symbols with easy-to-use interface and various powerful features. 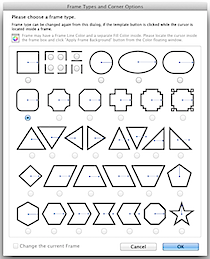 MathMagic Lite offers various symbols and templates for elementary ~ high school math and post-secondary math. 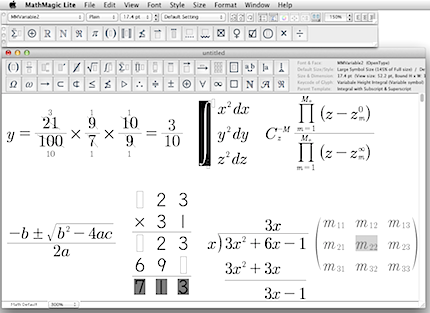 MathMagic Lite Edition works well with most word processors like iWork Pages, presentation software like Keynote or PowerPoint, iBooks Author, PhotoShop, Illustrator, and more, via Copy and Paste, Drag and Drop, or Exporting in SVG, PNG, PICT. 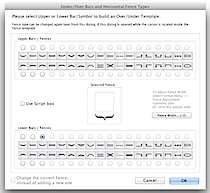 This page contains the latest information about MathMagic Lite Edition for Mac OS X. Please read the Feature Comparison table to see the difference between "MathMagic Lite" and full featured "MathMagic Personal". MathMagic Lite Edition is for personal use only. 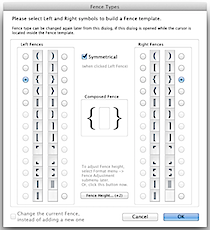 MathMagic Lite & included MathMagic fonts should NOT be used for any commercial purpose. Equations created with MathMagic Lite are not allowed in any commercial material or public contents. Fixed: All upper case characters in the pasted math expression or text string were converted to lower case unexpectedly. Fixed: Some LaTeX symbol names for Set commands changed and fixed. 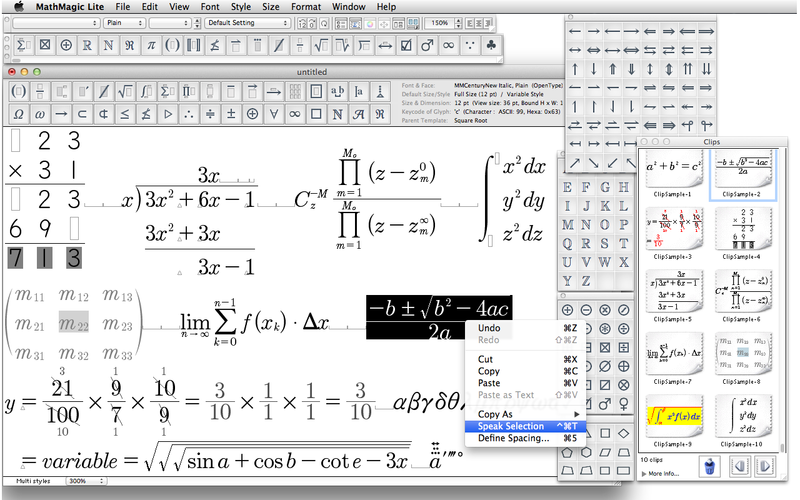 Added: MSWord's MathML expression can be pasted into MathMagic. Added: Command-click on a Template or Symbol toolbar button will detach the palette. Changed: Some messages and UI improved. 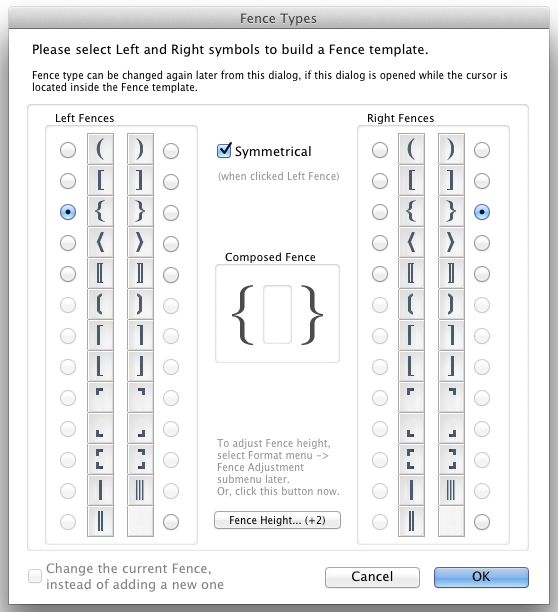 Changed: Default Alignment option is changed to "Align =<..." from "Align Left". Changed: LaTeX exporting does not add "\mathrm" for non-Variable components. Fixed: Frame box was saved in red color when saving in SVG format. Fixed: "Not Equal" symbol on the Plus-Minus symbol palette corrected to \ne for LaTeX conversion. Fixed: The shape of Left/Right arrow heads improved for triangle shape. 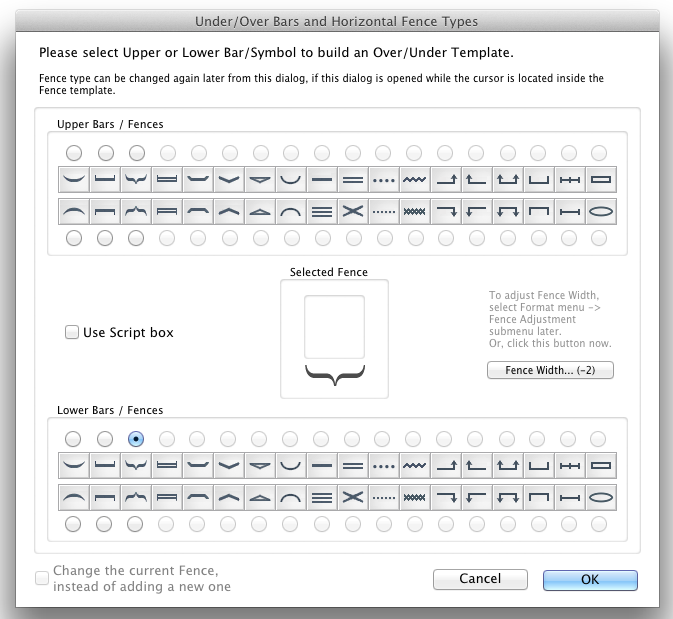 Fixed: "Line Between Boxes" submenu commands such as "Add Line Below" and "Add Line Above" were improperly enabled in a single line box when in a certain templates with script boxes. Please read Version History for the details. MathMagic is an Equation editor for all users ranging from novices, students, teachers, higher education, and to the high-end desktop publishers. It provides you with very easy user interface and yet powerful features in making equations. You can create every imaginable form of mathematical expressions with MathMagic easily and quickly. Trial version can be switched to a full version when a License Code is entered into the Authorization dialog. There is no separate installer or application for Trial version. One same regular installer and its installed application works as a trial mode if you do not enter a valid License Code. 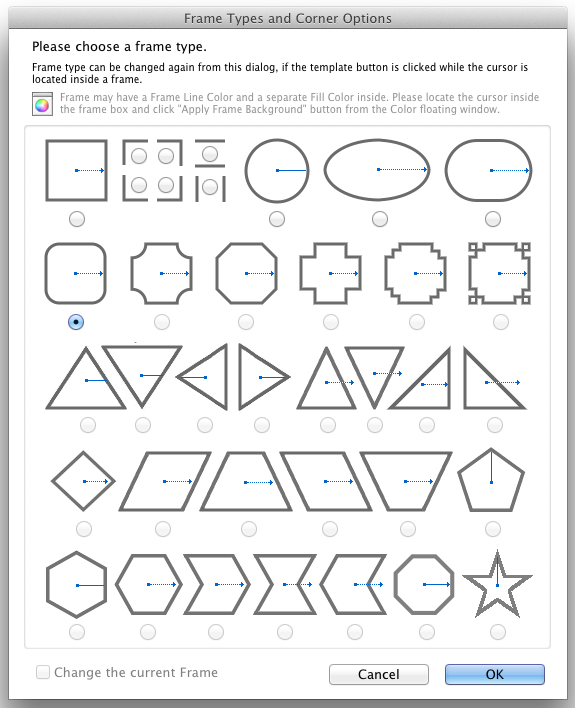 MathMagic Lite is Free so no License code required. And no Trial version availabe for MathMagic Lite. For the full Price list, please visit our online store. For the site licensing or volume order, please contact us at sales@mathmagic.com. Click here to visit Download page. June 2012 - the first MathMagic Lite Edition for Mac OS X released. [Math+Magic], MathMagic, MathMagic Personal Edition, MathMagic Pro Edition, MathMagic Prime Edition, MathMagic Lite Edition, MathMagic logo, InfoLogic and InfoLogic logo are trademarks or registered trademarks of InfoLogic, Inc.
iBooks Author, iWork, Pages, Keynote, AppleWorks, Mac OS X are trademarks or registered trademarks of Apple Inc. MS Word, PowerPoint, Windows are trademarks or registered trademarks of Microsoft corp. Adobe InDesign, Illustrator, Photoshop, Acrobat are trademarks or registered trademarks of Adobe Systems Inc. QuarkXPress, QuarkXPress XTensions are trademarks or registered trademarks of Quark, Inc.
Other trademarks may be the properties of their respective owners. Copyright 1998-2018. InfoLogic, Inc. All rights reserved.